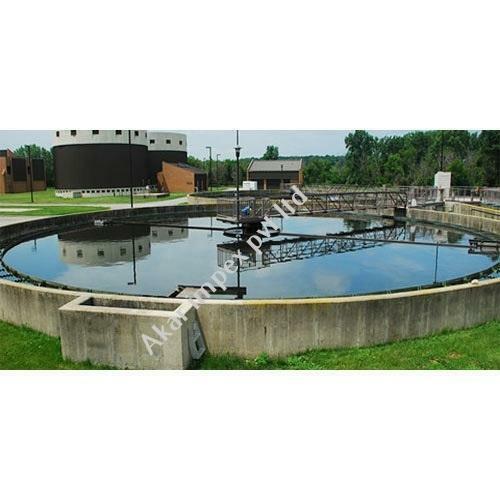 We are among the prestigious organizations, involved in manufacturing and supplying Sewage Treatment Plants. 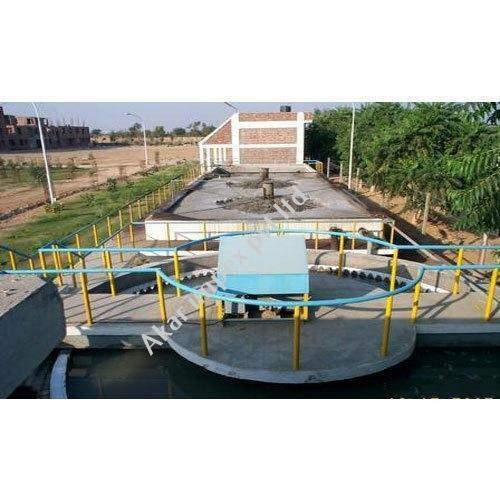 These sewage treatment plants are used for recycling sewage for horticulture application. Our clients can also avail secondary treatment plants, which is referred as biological treatment and may be aerobic or anaerobic in nature. All these plants are manufactured under the supervision of experienced professionals, in compliance with the established norms and guidelines and are also available with facility for secondary treatment at market leading prices. With the help of our team of adroit professionals, we are indulged in offering a wide assortment of Sewage Treatment Plants for Hospitals. The plants we are offering includes screen, collection tank, aeration tank, clarifier, sludge digester, filter press, dual media filters and diffused aeration system. These plants are specially designed for the treatment of hospital wastewater. The offered range is manufactured using high grade components and contemporary technology. We assure our clients that our range is quality tested on predefined parameters, in order to meet international standards. Apart from this, our prestigious clients can avail the entire range, as per their needs, at highly competitive price. We are engaged in offering our clients a high quality range of Sewage Treatment Plants for Hotels and Resorts. All these treatment plants are extensively used for recycling waste water generated from kitchen (which contains higher oil), laundry or toilet. 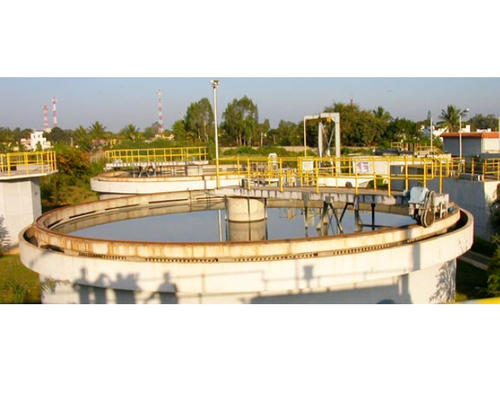 The treatment plants we are offering are based aerobic sewage treatment system which involves secondary treatment process to counter effect foul smell. The offered plants are manufactured as per the set industry norms using quality approved components and sophisticated technology. Keeping in mind the diverse requirements of our clients, we provide the entire range in various sizes and technical specifications. In order to ensure the quality of these plants, our skilled professionals perform a series of test against various parameters. 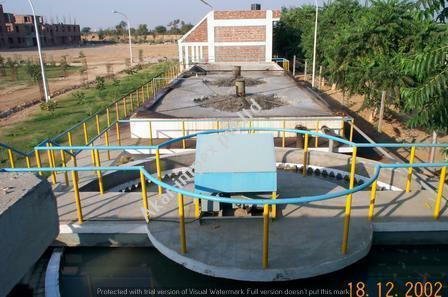 To meet the diversified requirements of our prestigious clients, we are engaged in offering Aerobic Treatment Plants. These plants are widely used in areas where conventional septic systems do not function properly. The plants we are offering breaks down the solid and aerate human & domestic wastes and so for the reason acknowledged as an effective sewage disposal system. The offered plants are available in a wide variety of specifications as per the exact requirements of clients. The provided plants are manufactured as per international standards using the best quality components and sophisticated technology under the guidance of our expert team. In addition to this, clients can avail these plants from us in customized options and at market leading prices. We are an acclaimed name engaged in offering our precious clients a superior quality range of Containerized Sewage Treatment Plant. 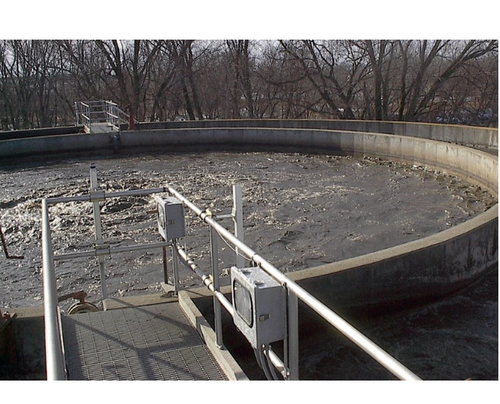 This range covers both Sewage Treatment Plants as well as Industrial Wastewater Treatment Plants. It is self-contained, housed in commercial freight containers, containing systems capable of delivering treated water from any type of wastewater. Our offered plant is manufactured by our professionals using best grade components and advanced technology in compliance with the industry quality standards. In addition to this, our provided plant undergoes various tests under the supervision of quality controllers to ensure its flawlessness at clients' end. Clients can avail this plant from us at market leading rates. To facilitate easy transportability and easy installation of the plant, Akar has introduced containerized Waste Water Treatment Plants. This range covers both Sewage Treatment Plants as well as Industrial Wastewater Treatment Plants. These plants are self-contained, housed in commercial freight containers, containing systems capable of delivering treated water from any type of wastewater. By utilizing containerized construction and integrated treatment techniques, Akar Systems can provide a completely assembled, pre-tested system capable of supplying specified quality of treated water utilizing wastewater from a number of sources such as sewage, wastewaters containing B.O.D., C.O.D., oil, grease, or high suspended solids. containerized wastewater treatment systems offer a number of advantages including ease of transportation, instant installation, flexibility, and cost effectiveness. The capacity may vary from 25 kilolitres per day (KLD) to One Million Litres per day (MLD). We supply Containerized Wastewater Treatment Plants above capacity of One MLD in multiple of 250 KLD. We have exported Containerized Wastewater Treatment Plants of 5 MLD recently. Quick startup: our Containerized Wastewater Treatment Plants do not need much longer to start. If the connections are available, the plant can start in two days. 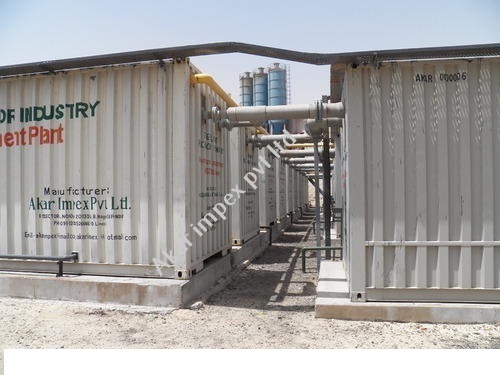 Requires almost no assembling at site: Containerized plants almost do not need any major assembling work at site. The plant comes pre-assembled and pre-tested. Roofed and protected against dust, winds and rain. Containerized plant is self-contained and needs no roof or protection against dust, winds, rain etc. Packaging Details: Plants are available in two main packages. One in which all equipment is packaged inside containers. This option less packaging. The other option is to have all treatment tanks containerized and equipment loose. All equipment are packed "Sea Worthy"
1. 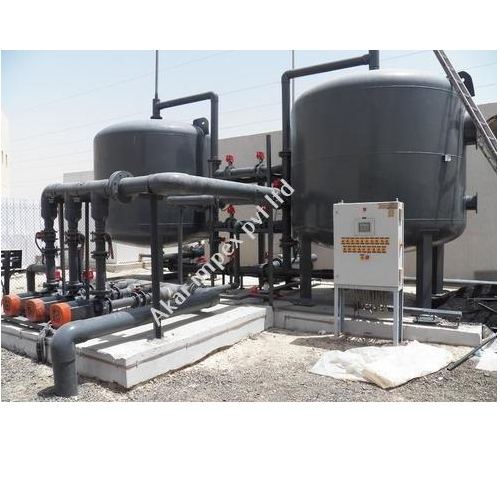 ADBR-M: ADBR (Akar Dynamic Bio-Reactor) system is a packaged Sewage Treatment Plant. The system comes in modular form. Because it is a packaged unit, there is no possibility of foul smell or visual nuisance. The entire system including tanks is in steel and onsite construction is very limited. Most of the Akar ADBR-M Sewage Treatment Plant is pre-assembled and supplied in the packaged plant needing minimum work at site. The ADBR-M Sewage Treatment Plant does not allow any waste water visibility. Moreover it is a compact system. These systems are being used in schools and residential complexes as well as hotels and hospitals. Usually these plants are available in modules of up to 600 KLD each. Bigger capacities can be built up by multiplying several modules of Akar ADBR-M Sewage Treatment Plant, keeping some equipment as common to control costs. We have attached a picture of one ADBR-M Sewage Treatment Plant operating in a residential complex. 3. ADBR-C: ADBR (Akar Dynamic Bio-Reactor) system in civil works: The plants, which we supply in the other above mentioned two configurations, we also supply in civil works. In this case the tanks are to be constructed in civil works instead of steel. We have supplied many such plants in India which are in operation for almost a decade and we shall be pleased to show them in operation. There is no limitation of capacities in this configuration. We have attached a picture of one such plant in operation in India. Apart from this, there are multiple advantages of adopting our systems including lower costs. 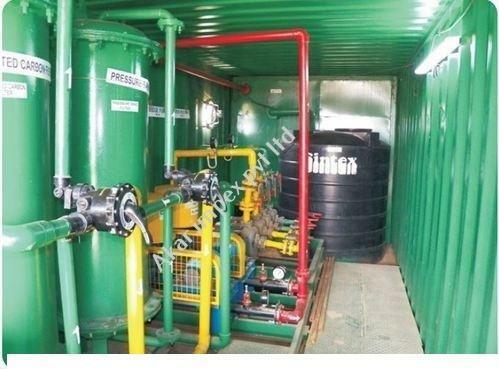 We provide Containerised Sewage Treatment Plants for use in variety of requirements. Compact Sewage Treatment Plants are ones which, by virtue of their treatment process efficiency, able to reduce their foot print much lower than other processes and enables the entire plant to be made into a package. ADBR (Akar Dynamic Bioreactor) has this capability. We have packaged not only mechanical equipment into the steel box, but also treatment tanks, which need considerable time and expense to construct at site needing huge manpower. Compact Water Treatment Plants not only save space, they also do not release any odor, because they are closed. There is no chance of foul smell to escape into the atmosphere. Depending on customer’s requirement, compact Sewage Treatment Plant is made fitting the available area at the customer’s site.